DWDM (Dense Wavelength Division Multiplexing) technology offers a great way to boost channel capacity and transmission speed for optical systems. And it has been used in many applications, especially in long haul transmissions. In these applications, DWDM optic transceiver plays an important role. This post intends to introduce a special kind of DWDM transceiver—DWDM tunable transceiver. What Is a DWDM Tunable Transceiver? DWDM tunable transceiver is a unique transceiver that can select the channel or “color” the laser emits. Put it in simple terms, most WDM systems generally use optical transceivers with a fixed wavelength. That means there is a spare for each wavelength in use. But tunable transceiver has the capacity to adjust the wavelength of the transceiver on-site to meet different requirements. That’s the most distinguished point of tunable transceivers. Another characteristic of tunable transceivers is that the tunable function only lies in DWDM system due to the dense wavelength grid of DWDM. Typically the tunable transceivers are for the C-band 50GHz. Around 88 different channels can be set with intervals of 0.4nm, which is the 50GHz band. These optics usually start from channel 16 up to 61 but this depends on the manufacturer’s router/switch and which channels it supports. And the transmission distance of DWDM tunable transceiver over single mode fiber is up to 80km and data speed is up to 10Gbps. In addition, the DWDM tunable transceivers are available for a wide range of equipment like routers, switches and servers. With these transceivers, network operators can change wavelengths unlimited within the C-band DWDM ITU grid. In today’s market, there are mainly two kinds of DWDM tunable transceivers. Tunable XFP transceiver are manufactured with an integrated full C-band tunable transmitter and a high performance receiver. Wavelengths can be set as default in 50GH DWDM ITU grid. The maximum distance of this transceiver on a single mode fiber is up to 80km. In the market, different manufactures may name tunable XFP transceiver in different forms. For example, Cisco may name it as “ONS-XC-10G-C” while Juniper version is “XFP-10G-CBAND-T50-ZR”. Besides, this transceiver be tuned in different ways. As one kind of DWDM SFP+ module, the tunable SFP+ optical transceiver is a full duplex serial electric, serial optical device. Its transmit and receive functions are contained in a single module that provides a high-speed serial link at 9.95 to 11.3Gbps signaling rates. And the transceiver supports the enhanced SFP+ specification. Here is a simple picture showing its working process. On the transmit side, the serial data are passed from the electrical connector to a modulator driver. The modulator driver modulates a C-band cooled tunable transmitter, enabling data transmission over up to 80km on single mode fiber through an industry standard LC connector. On the receive side, the 10G optical data stream is recovered from an APD through a transimpedance amplifier to the electrical connector. Tunable transceivers have progressed rapidly in recent years. They have become popular in DWDM transmission systems because of their multi-faceted abilities and ease of spare use. Especially when combined with ROADM (reconfigurable optical add-drop multiplexers), DWDM tunable transceivers become a powerful transmission component. In simple terms, DWDM tunable transceivers have benefits below. A wide tuning range. Compared with common fixed wavelength optical transceivers, DWDM tunable transceivers can save time and money in the long run. 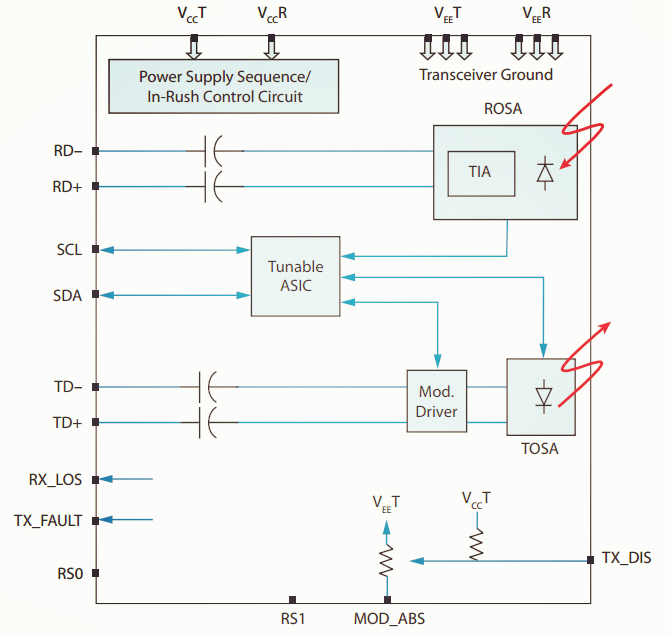 Be more suitable for 100G systems by reducing line-width. The ability to adjust wavelengths provides more convenience to fit different transmitting needs. Tunable lasers are capable of switching wavelengths in just nanoseconds. Tunable laser is a vital part of tunable transceivers. It is a high-speed and high-performance optics, enabling the needed wavelength to be reprogrammed in seconds. DWDM tunable transceivers are able to function on various wavelengths and to adjust wavelengths according to users’ needs, making them prevalent among DWDM systems. This article mainly introduces the basis and two types of DWDM tunable transceivers. If you want to know more about it, please visit FS.COM. 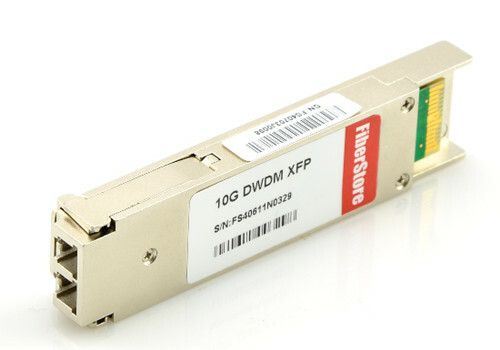 Why Use Tunable DWDM SFP+ Transceivers? This entry was posted in SFP+ transceiver and tagged DWDM tunable transceiver, tunable SFP+ transceiver, tunable XFP, WDM system on January 26, 2017 by Chloe Wang.